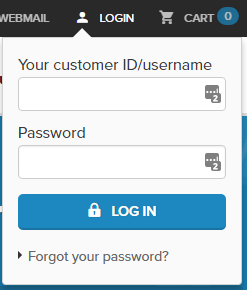 It is now possible to log into our website using your customer login ID. By doing so, you will also be logged into My Combell. If the user you used to log in is authorised to do so, he will be able to place an order on our website. If you want to order products, you no longer need to surf to a separate section of our website, as the entire ordering procedure is now fully embedded in the website. This means you can easily view all our products, examine them thoroughly, hesitate and cogitate before eventually clicking the “Order” button. The handy shopping cart allows you to keep an overview of your order and all the special offers that apply to it. Have you completed your order? Great! You can manage your products right away in My Combell with a single click. You know how it goes: you are away for business and a fantastic idea for a domain name suddenly pops into your head. But is it still available? Can I order it? Relax, Combell has thought of everything! Our brand-new ordering experience was designed taking smartphones and tablets into account, which means that every feature will look nice and work fine on any mobile device. You can order using a smartphone in no time. From now on, no one will ever outdistance you again! We have put substantial efforts into our domain search module. 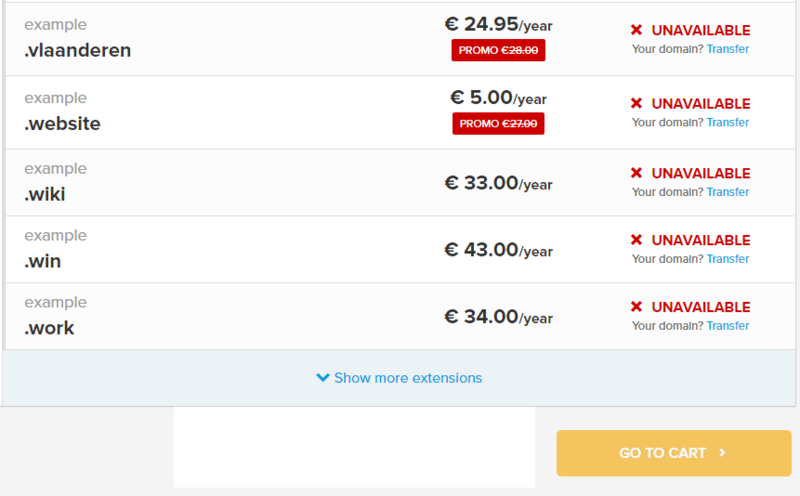 You will notice that you can now search for domain names much faster and that we make clever suggestions for other extensions. This way, if your domain name is no longer available, you can at least consider interesting alternatives. In the next months, we will continue to tweak this search module in order to come up with even cleverer suggestions and faster results. Have you ever pre-registered a new gTLD? If not, now is the perfect time to try this. Thanks to our revamped ordering experience, this has indeed become much easier. You can pre-register the best domains with domain extensions that will be available soon in no time. Better yet, this service is completely free of charge and without obligation! We would be happy to hear what you think we can improve. Feel free to let us know by sending us an e-mail to marketing@combell.com.